Zeus was a gift from a Colorado falconer who decided that he just wasn't working out as a falconry bird. He was born in captivity and imprinted on humans meaning that as he was growing up, he saw humans instead of other hawks. Since humans raised him, Zeus sees himself as a human too. 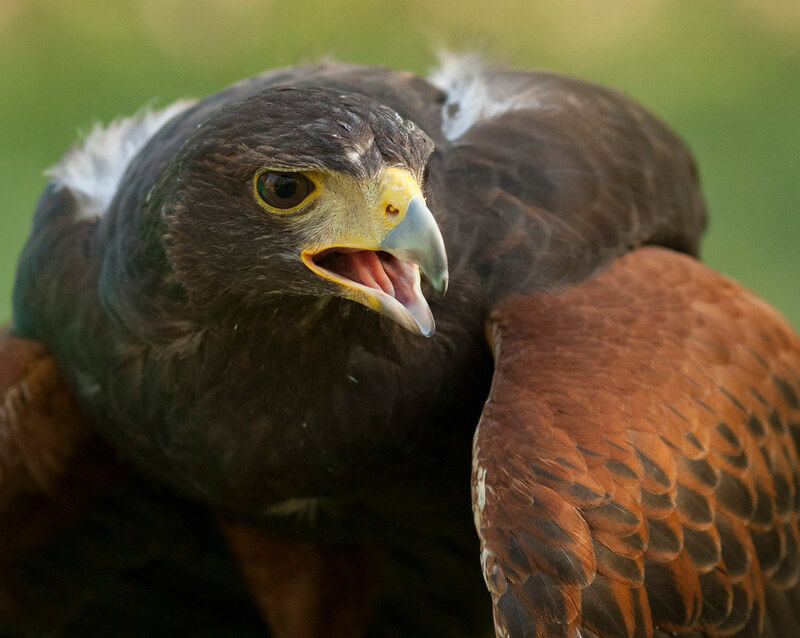 As Harris's Hawks are very social birds that live in family groups, living alone can prove to be difficult and the hawks can become destructive to their surroundings and to themselves. We provide him with enrichment and toys to keep him occupied to avoid these destructive behaviors.